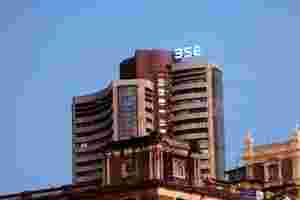 Mumbai: On Wednesday, markets cheered the move by the European Central Bank to lend around $639 billion to Euro region banks. However, analysts claim that it will not help reduce the huge debt burden of the European government, reports MarketWatch. Asian markets also drifted lower on Thursday morning following subdued cues from Wall Street and European jitters, reports MarketWatch. Japan’s Nikkei Stock Average fell 0.4%, South Korea’s Kospi Composite fell 0.3%, China’s Shanghai Composite and the Hong Kong’s Hang Seng slipped 0.5% and 0.8% each. Back home, Essar Energy will be in focus. The company said that chairman Ravi Ruia would step down temporarily after the Central Bureau of Investigation (CBI) claimed that he had suppressed facts about the extent of Essar Group holdings in Loop Telecom, which is being probed in the 2G Scam case. The charges are against him, four others, and three companies for telecom spectrum-related irregularities for cheating and conspiracy. Essar, which owned 33% in a joint venture with Vodafone, also owned more than 10% of Loop. Shriram Transport will merge with unlisted parent Shriram Holdings in which US-based TPG Capital owns 49%, after the board approved a proposal. The board has approved a share swap of 313 shares of Shriram Transport for every 124 shares held in Shriram Holdings. Private Equity partner TPG Capital will get about 20% in the merged, listed company based on the share swap ratio. Shriram Transport has cut its loan growth forecast by half for this fiscal year citing rising interest rates. Reliance Industries has joined hands with Bill Gates, Vinod Khosla and Nathan Myrvhold, a former Microsoft techie, to fund the development of a nuclear reactor, reports the Economic Times. The energy major has purchased a minority stake in Terra Power LLC, US which is developing an ultra-modern reactor using traveling wave technology - something which uses depleted uranium and need not be refueled every few years. Mahindra & Mahindra may launch its first compact car next year which will give more mileage than India’s most fuel-efficient petrol car, reports Business Standard. After the utilities vehicle maker bought a stake in Reva Electric Car Company, it is looking at launching Reva NXR which will give 160 km on full battery charge with four adult seating and speed of more than 100km/hr. The new model will be much better compared to Reva that has half the battery life and 80 km/hr maximum speed. United Spirits Ltd has decided to raise $225 million ( ₹ 1,190 crore) via foreign currency convertible bonds (FCCBs) to deleverage the balance sheet, reports the Business Standard. The flagship spirits company of the UB Group has a debt to equity ratio of 1.7 or debt of around ₹ 7000 crore after it bought Scottish whisky maker Whyte & Mackay (W&M) for $1.2 billion in a leveraged deal. The company has raised ₹ 2,715 crore via selling treasury stock, QIP and refinancing so far. Lastly, domestic investment banks are ramping up the head count even as foreign ones are downsizing because of weak markets, said Economic Times. Boutique firm MAPE Advisory Group hired top level executives and another advisory firm o3 Capital has plans to hire at least three senior executives besides a few junior-level executives.